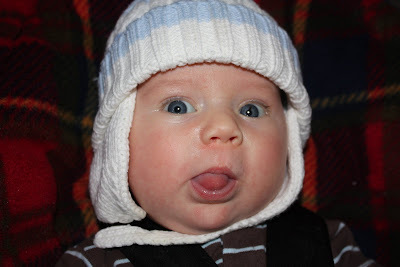 Zack does not like wearing hats! 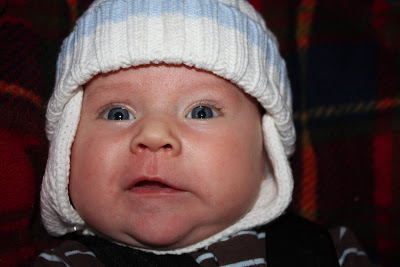 I thought he looked so cute in this snow hat, apparently Zack doesn't think so!! 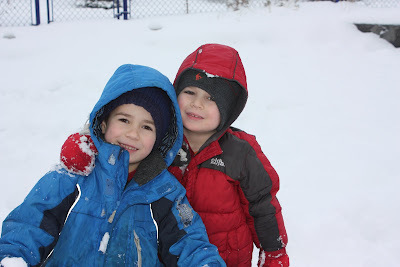 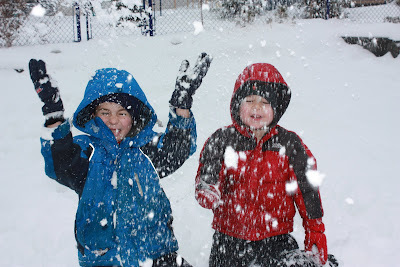 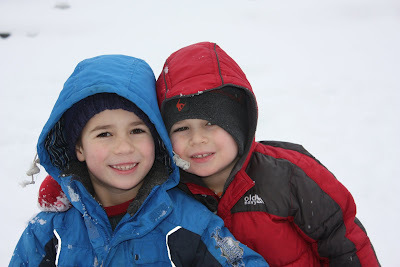 The boys love playing in the snow!